I will start off by saying that this post is very late. 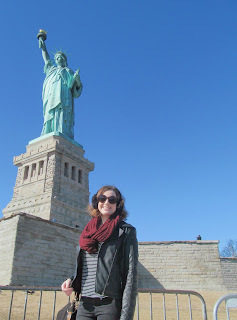 It was actually just over a month ago that I jetted off to America for my first visit to The Big Apple. I'd been dreaming of exploring New York City for years and years, so when an opportunity finally arose saying yes was a no-brainer! My trip was actually organised by the University of Kent school of arts, where I currently study. Thankfully, we were given to freedom to pretty much plan our days independently, which gave me and my friend the chance to see and do almost everything we wanted to do. This included pretty much every main tourist attraction in New York City, which we visited unashamedly! We spent most of day one wandering around like zombies as we tried desperately not to succumb to jetlag. Our 8 hour long flight with United Airlines was comfortable (and we got so. much. food on board!!!) but by the time we checked into our hostel I was ready to crawl in to bed. Not wanting to waste the day though, we headed out to explore the area, work out how the subway worked (turns out it's not that different to the tube. And MUCH cheaper.) and just generally get a feel for New York. That evening we travelled down to Times Square for the first time, and it was just as beautiful as every film and TV show set in NYC had led led me to believe. 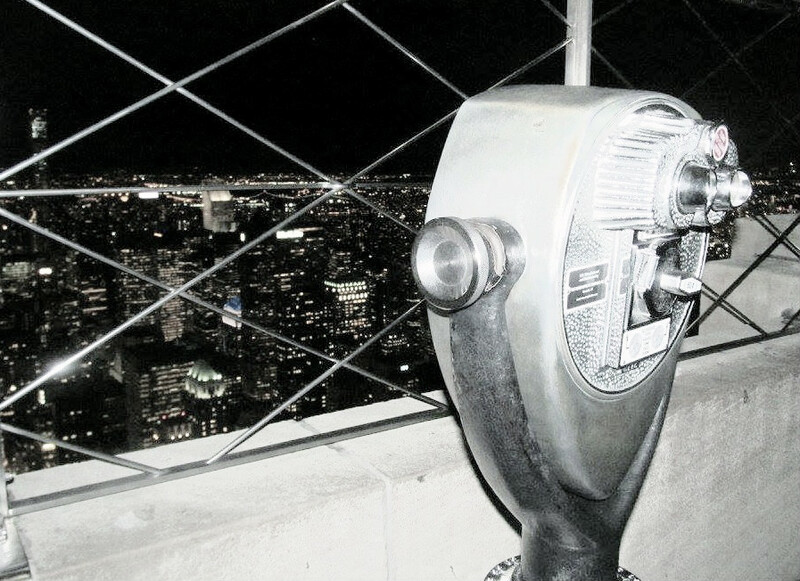 After wandering around in awe for a while we headed to the Empire State Building and got a breathtaking view of New York City at night. I could have stayed up there for hours but the freezing cold winds and the fact that I was almost definitely only awake because I'd drank an unspeakable amount of coffee meant that after admiring the view and taking a few photos we headed back to the hostel for a good night's sleep. Our second day in the city was absolutely amazing. We woke up early and travelled down town and caught a ferry to Liberty Island. It was a gorgeous sunny day and the Statue of Liberty looked breathtaking. The ferry then took us to Ellis Island where we visited the museum and I found my family's surname on a list of people who immigrated to America via Ellis Island decades ago! After that amazing morning we headed to the 9/11 memorial, a sobering sight, but touching and appropriate. 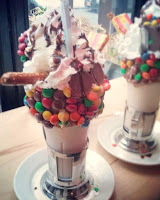 Feeling hungry, we stopped off at Serendipity 3, an incredibly kooky cafe on 225 East 60th Street. I ate a lovely mild vegetarian chili and drank a peanut butter chocolate frozen hot chocolate so big I could have probably swam in it! Well worth a detour if you're visiting Central Park. And then, later that evening something very exciting happened... I saw my first ever Broadway show, Allegiance, starring George Takei, Telly Leung and one of my favourite singers ever; musical theatre legend, Tony award winner and two time Disney princess Lea Salonga! Allegiance told the story of the Kimura family, one of many Japanese-American families who were incarcerated in internment camps during world war two. The story highlighted shocking truths about a part of American history which I was completely unaware of and was both harrowing and enlightening. Sadly, the show closed shortly after I saw it, but the cast album is available to buy, and is well worth a listen. Songs such as Our Time Now and Higher are really breathtaking and Lea Salonga's soaring vocals are unparallelled! 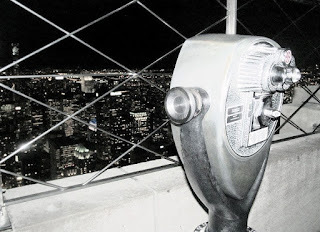 On day three we went to the top of the Rockefeller building and got a fantastic view of New York City in the daytime. We easily picked out the Empire State Building, Chrysler Building, Central Park and even the Statue of Liberty on the horizon. 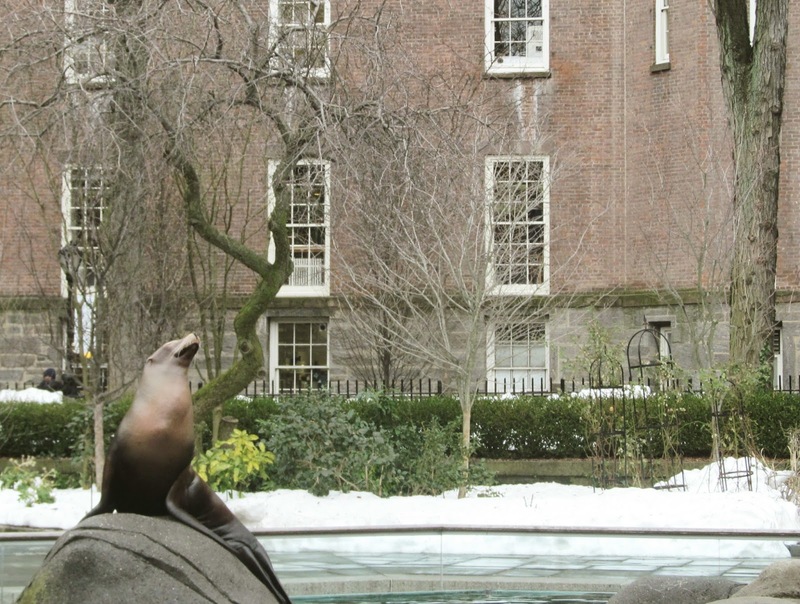 After lunch we trekked around Central Park for hours on end until we finally found the Central Park Zoo. Admission was very reasonable so we paid the animals a visit. Sadly, time was going by way too fast and soon the evening was upon us. 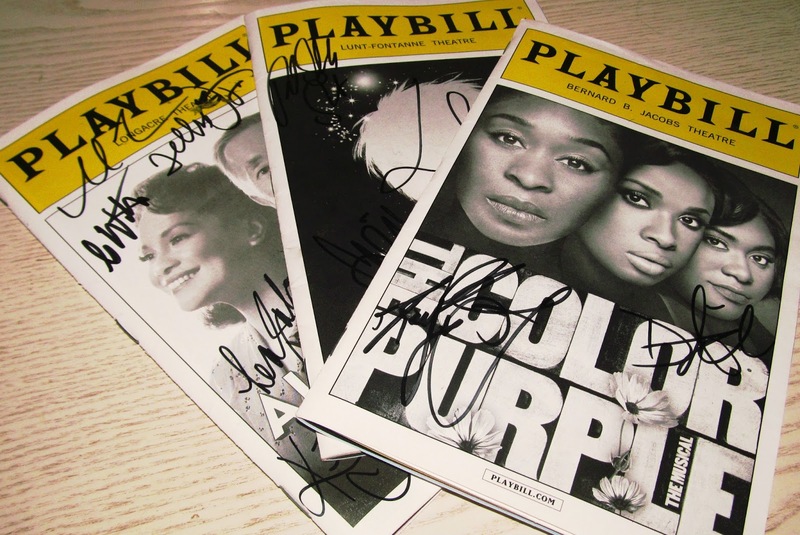 Excitingly though, that evening I saw my second Broadway show, The Color Purple. The cast was stunning (British musical theatre star Cynthia Erivo was making her Broadway Debut opposite Academy Award winner Jennifer Hudson) and the story was so awe-inspiring and emotionally draining. I truly felt like I was witnessing an extremely special piece of theatre, and I've been listening to the new cast album ever since I got home! We got the train down to Brooklyn on day four and walked across the Brooklyn Bridge, which was stunning, if exhausting. 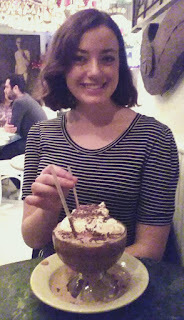 New York is such a Photogenic city and we spent ages taking pictures before heading to Soho to check out Black Tap, a milkshake and burger bar with the most incredible looking milkshakes EVER! Without internet, the tiny bar was almost impossible to find, and when we finally managed to locate it we were met by a queue of probably around 30 people. Spurred on by the promise of incredible shakes, we joined the queue and two hours and $15 later, we had purchased a couple of Sweet 'n' Salty shakes. They were honestly the most ingenious, yet sickly, yet spectacular milkshakes I have ever seen and had the pleasure of tasting. Incredible! That evening we saw our final Broadway show, Finding Neverland, a musical based on the 2004 film of the same name. As a big fan of the film, I wanted to love Finding Neverland, but sadly, despite a couple of catchy songs and some spectacular staging elements, Finding Neverland was a little bit underwhelming. I found the comedy elements quite out of place and some of the characters were a bit to cartoonish. Tony Yazbeck was likable as J.M Barrie, and Laura Michelle Kelly gave an outstanding performance as Sylvia Llewelyn Davies. Her showstopping ballad All That Matters Now was spine-tinglingly good, but sadly no other song in the show reached the same emotional depths. I still really enjoyed myself, and the show was certainly entertaining, but it didn't give the gut wrenching punch that the film gave, and I left feeling slightly underwhelmed. I'll be interested to see how British audience members will respond to the show (which I found extremely 'Americanized'), as a UK transfer was announced recently. Snow fell on the morning of day 5, and so we decided to take another stroll around Central Park, which looked like something out of a fairy tale. Then having done almost everything we set out to do (and spent almost all of our money!) we headed to Times Square again. We were now subway using pros (at least on the 1 Train) and did a bit of last minute sight seeing and souvenir shopping before heading home to get an early night. Flying home on day 6 felt bittersweet. On the one hand, I'd eaten way too many breakfast muffins, had missed a week's worth of uni work, and was running out of spare jumpers! But on the other hand, I had well and truly fallen in love with New York City. I mean, I didn't love its busyness, or the fact that people pestered you every couple of steps in Times Square, or having to convert everything from dollars to pounds in my head before I even considered a purchase. But New York seemed to pulsate with life, and there was something new to discover around every perfectly right-angled corner. And it's an absolutely beautiful city. Full stop. Long before I boarded the plane back to the UK I was already planning my next trip. I'm almost certain that New York City is on everyone's to-visit list, but I'd honestly return without a second thought and really would recommend a visit to anyone.